Ranawaka’s removal due to fighting with Secy. A tug-of-war between former Power and Energy Minister Patali Champika Ranawaka and Ministry Secretary M. M. C. Ferdinando over the recent removal of Lanka Coal Company Chairman Tissa Herath was the primary cause of Ranawaka losing that portfolio, senior government officials said. Ranawaka was critical of the unnecessary expenses incurred in the purchase of coal to supply the country’s first coal-powered plant in Norochcholai. He then decided to appoint Ceylon Electricity Board (CEB) Vice Chairman Anura Wijayapala to head the Lanka Coal Company. Ranawaka had removed Herath from his post without Ferdinando’s consent. However, with the removal of Minister Ranawaka, Wijayapala, too, had tendered his resignation as Chairman. Meanwhile, inside sources said that between USD 120 and USD 150 million had been spent annually to obtain nearly 500,000 MT of coal from Indonesia for the Norochcholai plant. The CEB and the Ceylon Petroleum Corporation had incurred a loss of Rs 160 billion up to Dec. 31, 2012, a senior official of the Treasury said. CEB Chairman Prof. Wimaladharma Abeywickrema has asked for price revision from the Public Utility Commission, which meets later this month. The CPC’s total losses amount to Rs 95 billion while CEB’s stands at Rs. 65 billion. The CEB’s projected loss for this year is a staggering Rs 90 billion. It is understood the massive losses are due to CPC’s decision to raise the price of furnace oil supplied for thermal generation. An official said unless there was a price revision in keeping with the world oil prices, the Treasury would not be in a position to carry the additional burden. “The government can manage a loss of between Rs. 50 and 60 billion and go on up to Rs. 100 billion, but going beyond that level was dangerous and therefore there was the need for effecting price hikes and fuel adjustments charges,” the official stressed. According to the Central Bank, continuous operational losses of the CPC have resulted in a significant loss in tax revenue to the government and high borrowings from the banking system to finance working capital requirement. The CPC’s net borrowings from the banking system for their working capital requirements increased by Rs. 53.3 billion during the last year. The cost of producing electricity through the use of thermal energy varies from Rs. 24 to Rs 60 per unit. Meanwhile, the price of a litre of furnace oil being supplied to the CEB has been increased by Rs. 25.00. 8 Responses to Ranawaka’s removal due to fighting with Secy. Mr.Champika Ranawaka is very honest, patriotic and intelligent person. He never let people to waste and thought of always the efficiency and citizens’ side. He behaved very decently during the process of impeachment. He is not doing any thing to survive. So Mr.Ranawaka is a hero in my mind. Pavithra Wanninayaka nona will do any thing at any cost to the country in sake of her survival. Let’s see ! Hon Champika Ranawake is a committed professional who drove the energy industry in accordance with professional principles amidst all the interference and external influences. If he had more authority and control, our energy industry would have achieved a higher status. Well done Hon Champika, we wish you well. Mr Ranawake’s successor is going to undo the outcomes of the efforts of the past 3 years, in a short period. The population is in for more blackouts as the energy industry slides towards a grinding halt. I am very sorry about Mr Ranawaka’s removal. This is a big mistake by the President. Coal-fired plant to produce elctricity is very expensive as we have to import coal at enormous expense. We should have relied on green methods of producing electricity as done in the West since coal produces noxious fumes and acid rain which will destroy our country’s forests and polute our air quality. I was against it from the beginning. Why you refer to “green methods of producing electricity as done in the West”. Aren’t htey your “enemies”? China is greener in producing energy. There are more stringent environmental controls in place in China than in the developed world. First time I see a comment by you disapproving a government decision. If we are not correcting government who else should do it. We should approve what should be approved. Well done here and thanks for that. To me, removing Ho. 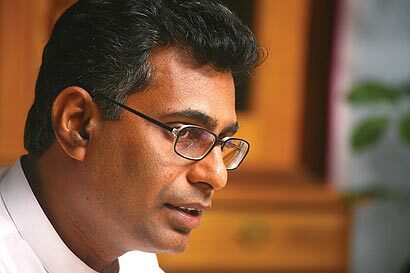 Champika Ranawaka from his portfolio is a grave mistake by the president. It appears the president is being fed with misinformation by corrupt officials who will lick any side of the politicians for few Rupees. If the president wanted to remove a minister from his post, Mervin Silva would have been the best choice. I am sorry to say Mr. President, if the current trend continues, many people would lose faith on you, and all the good work you have done to the country will be undone.